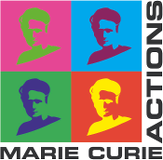 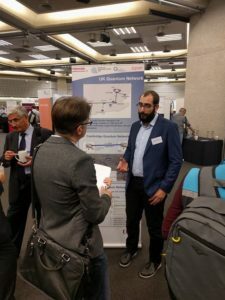 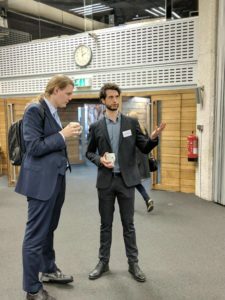 ESRs Innocenzo De Marco and Mirko Pittaluga attended the National Quantum Technologies Showcase 2017, as an outreach activity. 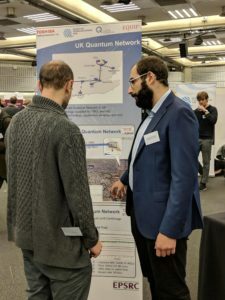 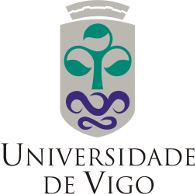 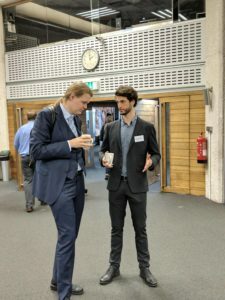 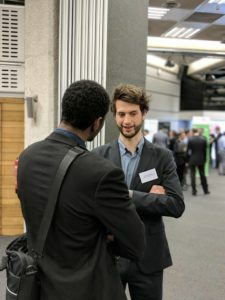 Several companies and universities presented their work: the Showcase was full of very different projects, ranging from quantum communications to single photon imaging. 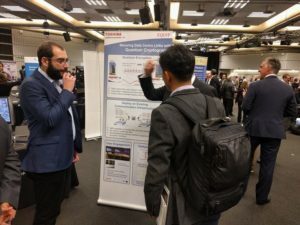 The two QCALL ESRs presented the work Toshiba Research Europe Ltd. (TREL) has been carrying on in the Quantum Communications Hub. 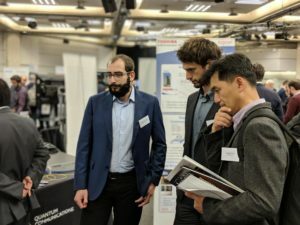 In particular, the focus was on the UK network TREL is actively contributing to. 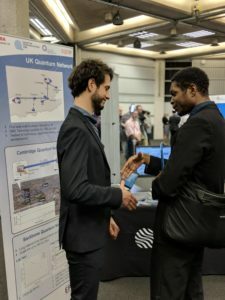 The Cambridge Quantum Key Distribution (QKD) network runs on Toshiba technology, and the company is expected to deploy the backbone connection between Cambridge and Bristol in order to start implementing a National Quantum Communications Hub. 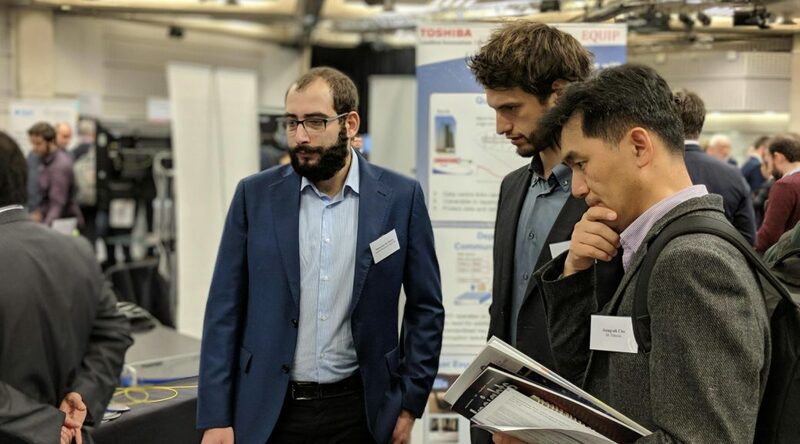 The public, composed by academics, corporate researchers, politicians but also students, journalists and simple curious, was very participative: questions were asked about every detail of Toshiba’s work, which allowed the ESRs to put their communication skills to the test.